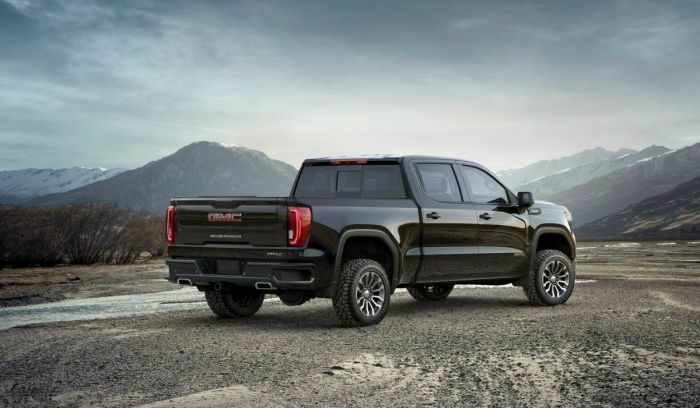 The 2019 GMC Sierra AT4 combines luxury with off-roading. The 2019 GMC Sierra AT4 made its debut during the New York International Auto Show. The 2019 GMC Sierra AT4 is designed to take on the off-roading segment of the pickup truck market and kick it up a notch. GMC is adding more luxury appointments to the mix, hoping to make inroads in the market where Ram Rebel and the Ford F-150 Raptor are already popular. The 2019 GMC Sierra AT4 is described as confident, athletic and sophisticated. That is an interesting mix when describing a truck, but perhaps perfect for the construction worker or business owner who often needs to go off-road to check on projects.